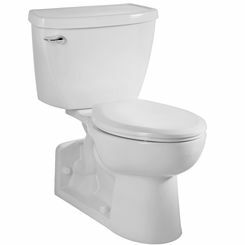 There are many advantages to installing two-piece toilets, also known as coupled toilets, which is why it's such a popular choice for both contractors and homeowners. At PlumbersStock, we carry a large selection of different styles, colors, sizes, rough-in options, and more. 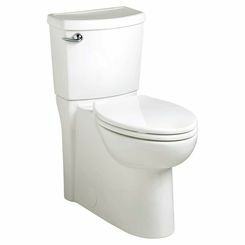 We have all kinds of cheap toilets, so shop around if you don't find what you need here for your bathroom update. Why Choose a Two-Piece Toilet? 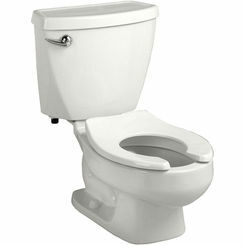 There are three main components to most toilets: the tank, bowl, and pedestal (the exception being wall-mounted toilets). 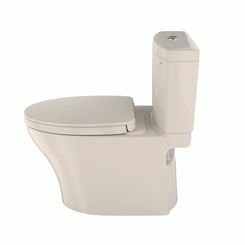 A two-piece toilet is separated where the tank meets the bowl/pedestal. There is a gap or joint between the toilet tank and the bowl (joining area) where can attract and provide more places for dirt, mold, and bacteria to hide. Or worse, it can be a breeding ground for them. 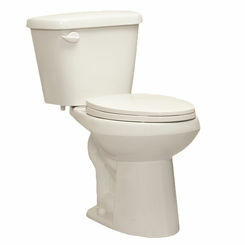 One significant advantage to going with a two-piece toilet is that you can replace the tank and bowl separately. If the tank or the bowl breaks or cracks, you don't have to replace the whole unit which makes it less expensive for replacement. 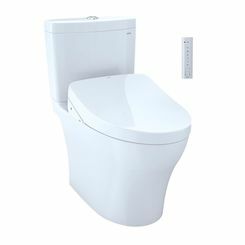 However, connecting the tank to the bowl can be more tedious to install as opposed to the convenience of a toilet that arrives on the job as a complete unit. 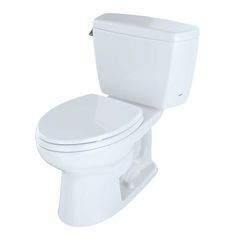 Another benefit to installing a two-piece toilet is that it is less bulky, lighter, and easier to move and maneuver around than one-piece toilets. One minor consideration is that once assembled, two-piece units are typically on the bigger side and thus take up more space, but that is not always the case. 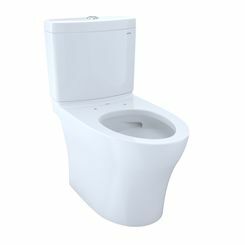 When cleaning a two-piece toilet, it may be difficult to clean the joining area thoroughly - you will need to the remove the tank to clean it. If not installed correctly, there's a potential to develop leaks between the tank and bowl. 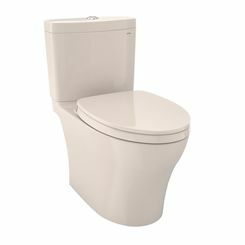 Choosing the right toilet is not an easy task unless you have all of the information necessary to arrive at an informed decision. Hopefully, this guide proves helpful. Picking the right color for your toilet can create a beautiful effect and establish the mood of your bathroom. The most important factor in making a decision will be your taste. You might also want to consider your flooring and furniture colors and of course, choose the color you're most comfortable with. White - this color never goes out of style. If you have a small bathroom, white will make your toilet look cleaner and brighter as it reflects light and brightens a space. It is adaptable to any change in style and easy to match with all types of bathroom decor designs. Other different colors of white are cotton white, colonial white, Sedona beige, biscuit/linen, bone, and more. Ebony - is a very dark black color with a pearlescent luster. With its dark color, it hides light dust and dirt. 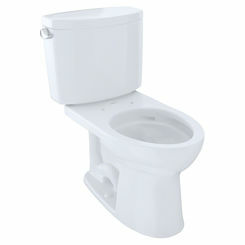 Most all of our two-piece toilets are made in vitreous china. This material is durable and resistant to spills, scrapes, and other bathroom mishaps. It has sanitary properties to resist germs and to maintain the cleanliness of the surface. With vitreous china toilets, you can also be confidently safe in using most bowl cleaners even the soft abrasive cleaners. Vitreous China has a glossy, easily cleaned surface. It can be cracked if hit hard enough by a dense object, but this material is durable and resistant to discoloration. 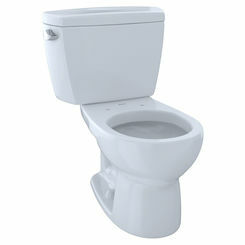 A good toilet provides high performance and at the same time, conserves water. In just a single flush, it can generate enough power to clean the bowl. Flow rate in toilets is determined in gallons per flush (GPF). 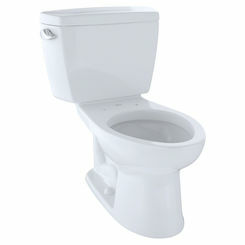 By federal law, you cannot have a toilet that uses more than 1.6 gallons per flush. 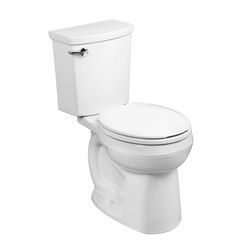 As rated highly in both water efficiency and flushing effectiveness, EPA's WaterSense-labelled toilets even use at least 20% less water than standard 1.6-gallon toilets. 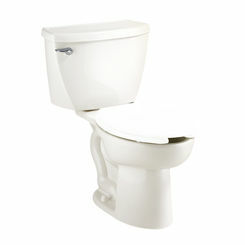 We offer two-piece toilets with as low as 1.28 down to 1.0 gallons per flush. 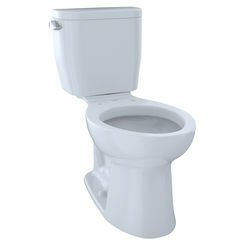 Other factors to consider when buying a toilet are the size and shape. Will it fit your space? To make sure that it will fit your space, measure the rough-in size. It is recommended for you to do this before removing your old toilet. 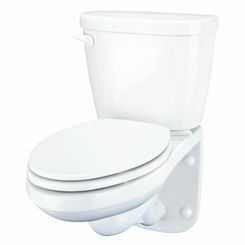 The toilet bowls come in round and elongated (oval) shapes. Round bowls work great in compact spaces and are less costly, while elongated bowls are longer (usually two inches longer) than round bowls for added comfort. 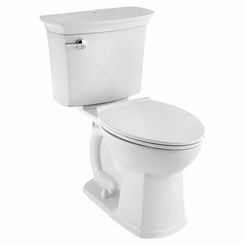 The standard height of a toilet is from 15 to 16 inches, and the standard ADA height toilets are from 17 to 19 inches from the floor to the bowl rim (including the seat). Note: If you're planning to replace your old round bowl with an elongated one, it is best to measure the dimensions of your existing bowl and the size of your toilet space first. And of course, check the dimensions of the bowl and tank when buying. 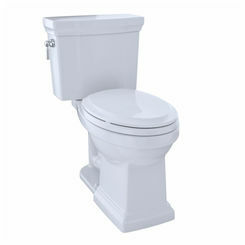 You may also want to consider an ADA-compliant two-piece toilet and the benefits it offers. With its 17 to 19-inch height, you can sit more comfortably and in conditions or situations that make sitting and rising difficult and challenging - two inches in height difference can mean everything to you! 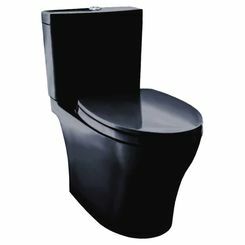 Shop NOW and take advantage of our great deals and discounts on toilets, toilet parts, and bathroom accessories.